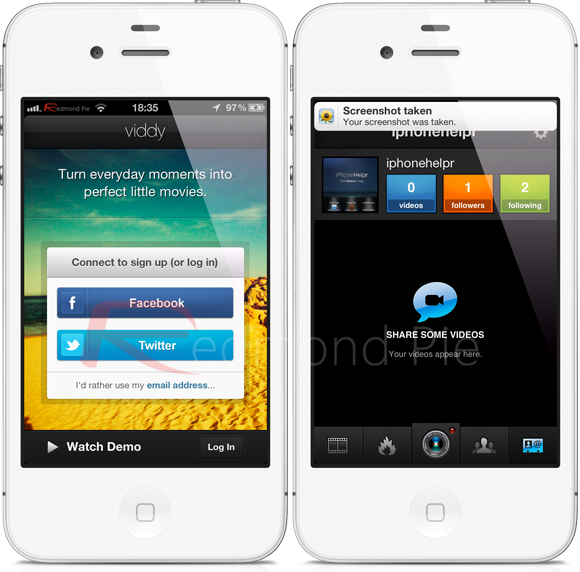 Viddy For iPhone: An App That’s Like Instagram For Videos – Download Now! When Apple first launched the iPhone, it was a device which immediately raised the bar in the mobile device world. The industry had seen scores of smartphones released well before the iPhone ever made it to market, but the original Apple iPhone brought a perfect fusion of form and function to the marketplace and was launched at the right time when consumers were crying out for a little bit of individuality. That was obviously coming up to five years ago, and although the overall standard of device released by manufacturers have increased thanks to that launch, the iPhone is still considered to be setting the standard. One of the major success stories of the iPhone has the been the dedicated App Store which Apple launched in 2008, and which has recently hit a major milestone by serving more than twenty five billion applications to the iOS using world. That is a staggering amount of mobile software to be handled through one central hub and we are willing to bet that a large portion of iPhone and iPod touch users have tried, or regularly use the Instagram photograph sharing app which has been such a massive hit. Considering the successes that the Instagram team have enjoyed with their iOS app, it seems rather strange that we haven’t seen a whole host of spin off apps being launched. Turn everyday moments into perfect little movies with Viddy on iPhone. So next time you catch that pristine sunset over the Pacific, make it more than a memory. Then share it with your Viddy community and upload them to Facebook, Twitter, and YouTube. 100% free brand packs such as Snoop, Incubus, and more. One-click sharing to the social web, including Facebook, Twitter, YouTube and Tumblr. The Viddy app for iPhone offers some great functionality and in my opinion has a truly stunning user interface which offers simple navigation fused within a dark, elegant background. The user of contrasting, vivid colors makes individual UI elements stand out and look breath taking, especially on a Retina display. Viddy is available as a free of charge download from the App Store with some additional in-app purchases being available should users require.